On Monday the engine maker Pratt & Whitney and Brazillian aircraft company Embraer are celebrating a significant milestone as the E190-E2 aircraft receives Type Certification from three regulatory agencies, the Agência Nacional de Aviação Civil (ANAC) in Brazil, the U.S. Federal Aviation Administration (FAA) and from the European Aviation Safety Administration (EASA). 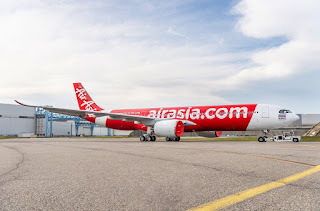 The aircraft is exclusively powered by the Pratt & Whitney Geared Turbofan™ (GTF) engine and is scheduled to enter into service with Widerøe Airlines in April. 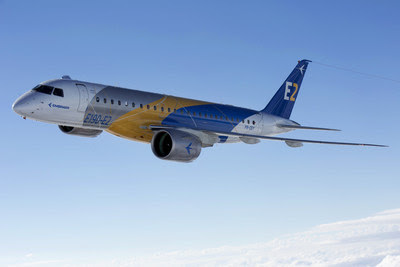 "Today is a day for celebration for all parties involved in the E2 program: Embraer's employees, our customers and suppliers. In programs with the level of complexity of the E2, to receive Type Certificate perfectly on schedule is a testament to outstanding teamwork. In that context, I want to especially recognize Pratt & Whitney's central role and support in this process and congratulate our friends there on the outstanding capabilities of the GTF engine which will power the E2 for decades to come," said John Slattery, President and CEO, Embraer Commercial Aviation. "We send our congratulations to Embraer on this historic accomplishment, and thank all of the dedicated individuals at Embraer and Pratt & Whitney for their hard work," said Tom Pelland, vice president of Commercial Engine Programs at Pratt & Whitney. "We are honoured to power the E190-E2 aircraft and look forward to the many advantages it will bring to our customers and their passengers for years to come."